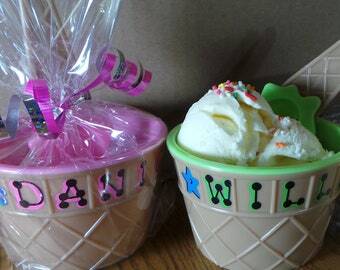 PRICE IS FOR ONE personalized Ice Cream dish with matching spoon. 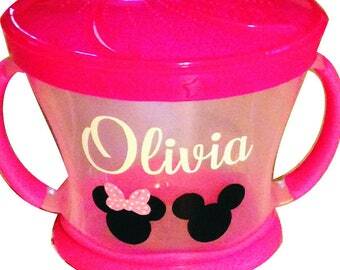 Mickey OR Minnie Silhouette to the left of the name. Gift wrap also included (as blue one is shown in photo - clear wrap with matching curling ribbons). The memory of your child's party is sure to be a sweet one with this ice cream bowl and spoon. 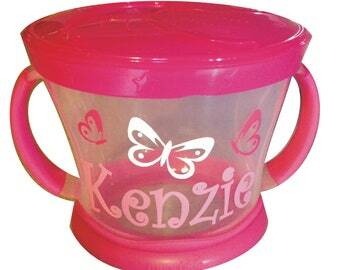 Solid BPA FREE PLASTIC material makes this extra safe and durable for children. 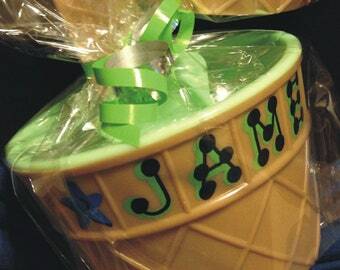 Measures approximately 4" diameter and 2.5" tall - holds 1-2 scoops of ice cream. 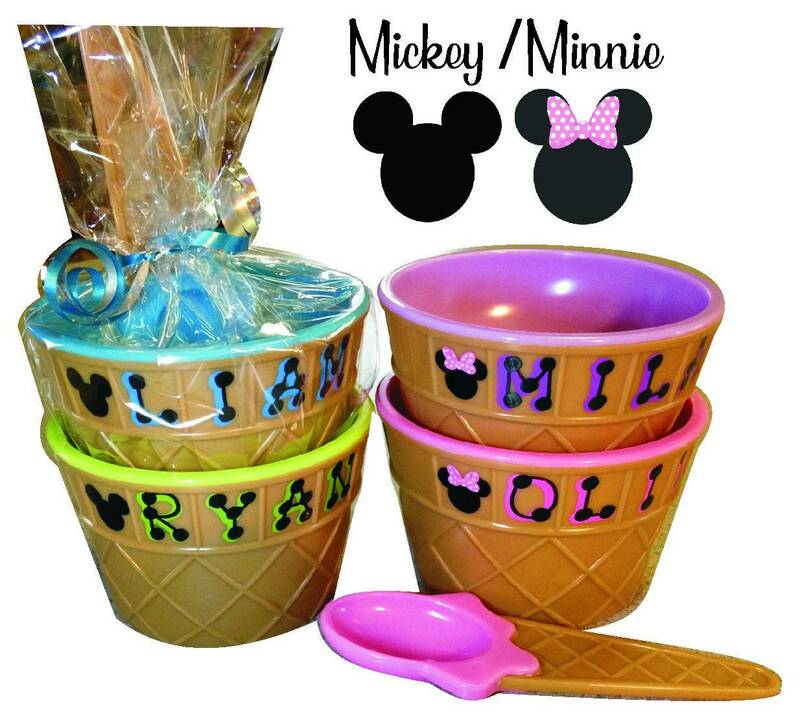 Price includes personalization with Mickey OR Minnie design to the left of the name and gift wrap. 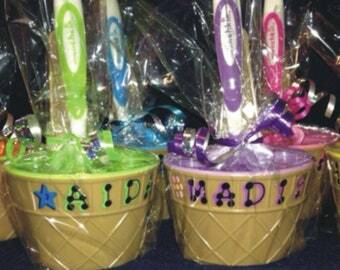 If you are ordering more than 10 pieces, contact us for discounted pricing and shipping. Please let us know how many you need, and where you are located. Discount per piece starts at 30+ pieces. Ordering more than 10? 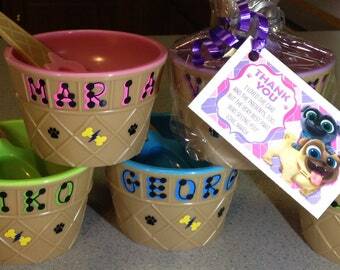 Send us the list of names broken out by boys and girls, where you are located and when you need them and we will send you a custom listing with discounted shipping.